Martin Keown has shot down any of Mohamed Salah’s boo boys after the Liverpool winger netted a stunning strike against Chelsea on Sunday. The Egyptian forward unleashed a pin-point accurate rocket of a shot which flew past Kepa to give the Reds a 2-0 win and move them back to the top of the Premier League table. 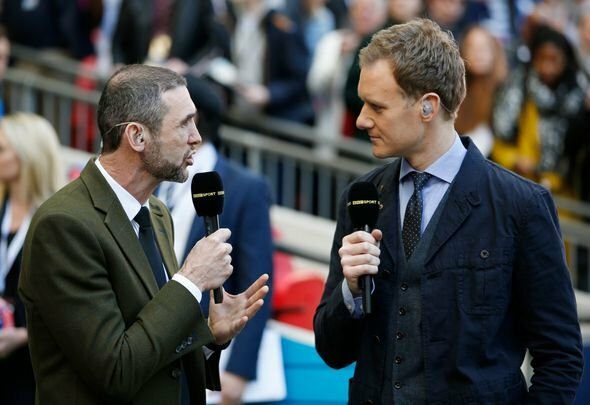 Having come under fire for his poor form recently, Keown was quick to shut down any sort of criticism, suggesting he was playing near to his best form from last season. He wrote in his Daily Mail column: “First his wondergoal against Southampton, now a thunderbolt to beat Chelsea… it’s safe to say Mohamed Salah has well and truly returned to the party! Is he really approaching the levels we saw from the Egyptian last season? That is a bold claim considering he scored 44 goals in 52 appearances across all competitions and the longest spell he went without finding the back of the net in the Premier League was two games. Yes, he might have scored two hugely impressive goals in Liverpool’s last two outings but he just does not look to be the swashbuckling winger that the Anfield faithful were left drooling over. Had Salah been at the same level in recent weeks as he was last season, Liverpool would have blown the opposition away instead of playing out nervy wins. His moments of magic should be applauded but he is still some way off what we have seen of him in the past. If he does continue to rise to those exceptional heights, then Liverpool should have no fear about dropping points in their title bid.